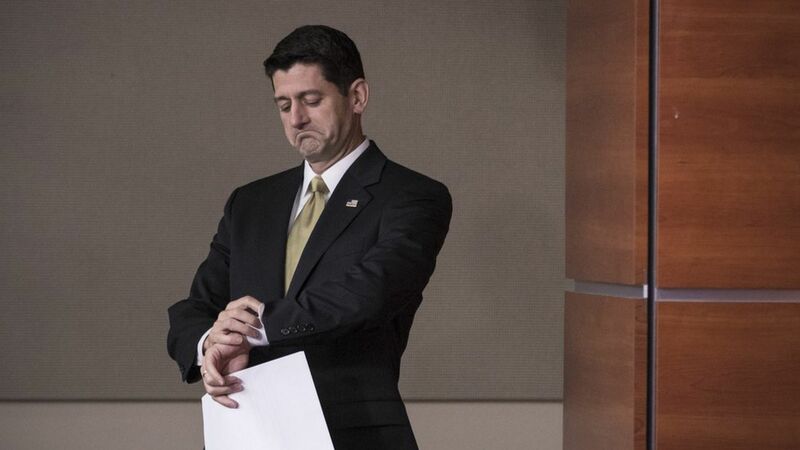 Paul Ryan seemed as in the dark as the rest of the country regarding the Senate GOP's plan for health care during his weekly press conference. When asked if a "skinny repeal" plan would actually fulfill the promises of the last seven years, he replied: "I'm going to reserve judgment until I see what the Senate actually produces…it's anybody's guess what they actually come out with." Trump's transgender troop ban: "The DoD is reviewing this with the White House. I look forward to seeing what it is they produce." On the White House palace intrigue: "I believe [Reince Priebus] has the president's confidence…I think Reince is doing a great job as chief of staff." The Russia/Iran/NK sanctions bill: "[W]hat we're saying is we need to sanction these regimes because of what they've done." Trump's tweets: "I don't read that stuff."